Skirts are great to experiment with, especially in the summers. Switching your pants or even shorts for a skirt can pretty much transform your entire look. And the varieties to explore are endless. No matter what the occasion is, there’s an ideal skirt for it. 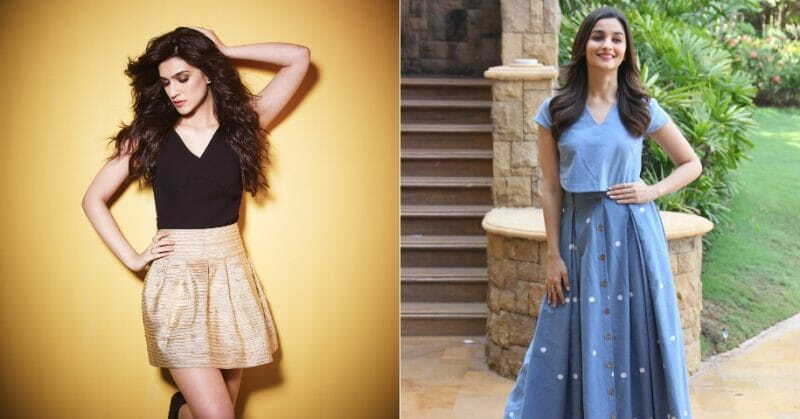 Here are seven simple outfit ideas to make you fall in love with skirts, and change the way you look at them. Crop tops and pencil skirts: this as a combination is super flexible. Depending on the style of the top, it can look formal, casual, or even something fancy for a night out. If you’re wearing this to work, you might want to opt for more neutral colours. They make the outfit look real classy. Pair it up with your favourite heels, and you’re good to do. Spice it up- try a bold neckpiece if you’re feeling fancy. 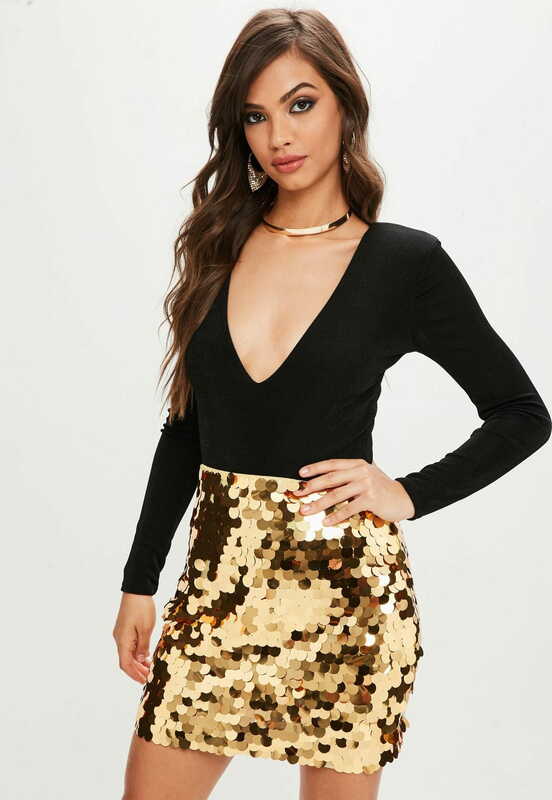 Sequin skirts: sequin skirts are a bold look to go with – but they stand out like no other. Go with a plain, simple top that compliments the color of the skirt nicely. You can then add either earrings or a basic neck accessory. Even graphic t shirts go nicely with the look. Spice it up- if you want to go all out, throw on a leather jacket to complete the look. Go monochrome: opting for a single colour is a great idea and makes selecting your outfit a much easier task. The best colours to try out for this look are black, white, beige and something in the light pink or maroon colour palette. Match your accessories to complete the look. Spice it up- red shoes go great with a black and white outfit. Boots: boots are a mini skirt’s best friend. Whether it’s a pleated skirt, a wool skirt, or a pencil skirt, boots will never let you down. Knee high boots aren’t very summer friendly, though, so try something that stops a little above the ankle. Here too, a jacket will do nicely and add that little extra touch if you’d like. Spice it up- a black skirt with black boots is a swoon worthy combination. Off-shoulder tops and skirts: if the summer heat is really getting to you, off-shoulder tops may be a good option. You can find some really cute lacy ones, or plain ones for when you want to go sophisticated, and throw on a skirt with it. This is a very flexible style, because you can go with skirts of different lengths, as per the occasion. 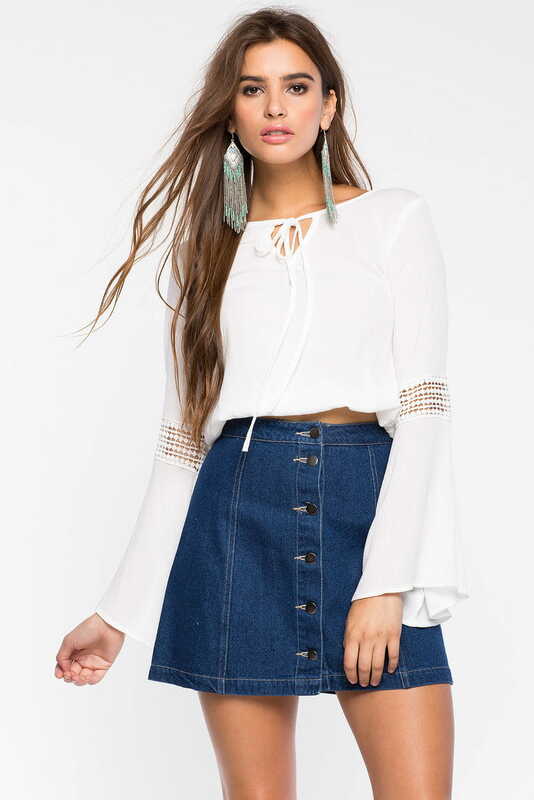 Spice it up- a frilly off-shoulder top and a denim skirt make a great pair for a casual day out. Slit maxi skirts: slit maxi skirts are a summer must have. They may be long, but because they’re airy, they don’t make you feel hot and sweaty. For casual days, you can go for a printed or floral one and a plain, classy one works well for a special occasion. Spice it up- bold heels will add to your look and make it fancier. Button down skirts: button down skirts are in a league of their own. Incredibly stylish, and with a variety to choose from, they won’t let your outfit down. You can go with a nice faux suede or a casual denim, or perk up your look with a bold red. Even a simple t shirt and minimalistic accessories will make the look stand out. Spice it up- asymmetrical button down skirts are interesting to experiment with.